What Celebrities Do Beachbody Workouts? 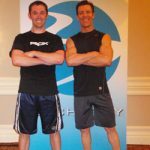 With all the popularity of Beachbody workouts like P90X, Body Beast, T25, Insanity, Asylum and others you can be certain a celebrity or two has tried one of them. When I hear of one doing any one of them I will update it here. Celebrities That Do P90X Iron Mike Tyson: said on his Twitter status 30 … [Read more...] about What Celebrities Do Beachbody Workouts?